The History of California State Parks exhibit at the California State Capitol Museum ran from September 2010 to September 2011 and provided a year long opportunity for State Capitol visitors to appreciate the rich history of the California State Parks System. The exhibit was titled "A Most Glorious Heritage: The Grandeur and History of California State Parks." Those who saw the exhibit were treated to a visually-dynamic experience that included breathtaking photos of California's most iconic parks, including state beaches, recreation areas, off-highway vehicle parks, state historic parks, and monuments. Historic photographs, movie and video clips, as well as oral histories from state park employees were also featured on monitors. The exhibit showcased the uniform of Harriet Weaver, the first female California State Park Ranger. 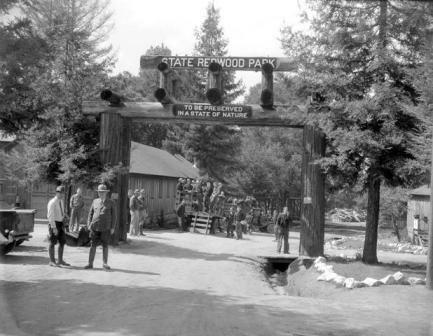 There was also information about the various features of our state parks, ecosystems, site restoration efforts, historic preservation efforts and the important role State Parks has played in the movie and film industry. For more information on the exhibit call 916-324-0333.